When students are thinking about university, we know that the range of courses and institutions can be overwhelming. 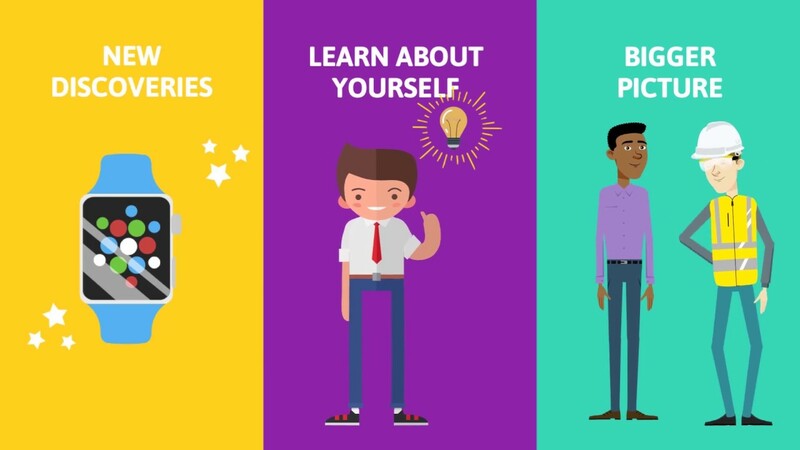 To help you encourage your students to think about what is most important to them we have created a range of resources that eliminate the confusion around higher education terminology and can support students in finding the right university and course for them. Why should I study at university? Students should make sure they choose a subject that they enjoy as they are committing to it for three or four years. They’ll be more motivated to work harder (more likely to attend 9am lectures) and their time at university will be a positive experience. If they are struggling to settle on just one subject, they may want to consider a Joint Honours degree which will give them the opportunity to explore two different subjects that they are passionate about. Get your students to thoroughly research the options available. Universities will offer courses which have the same name, yet the content will differ. It’s important for them to consider what they hope to do once they have finished higher education and how will the course contribute to achieving that goal? It may be that their dream job requires a specific degree or a set of skills that only a certain university course offers. They need to compare the modules offered and how they will be assessed. Some courses offer the opportunity to undertake a year in industry. This will help your students apply what they learn in real world situations and boost their employability when they leave university. Additionally, they may even be able to take a year of study abroad. If this is something they are interested in, then they need to check with the universities that they are applying to, to ensure that they can support with this. What routes are available to get your students where they want to be? Students will choose or will have already chosen up to four subjects to specialise in. The choices open to them will vary depending on where they decide to study – either college or sixth form. They can now choose if they are ready to put their knowledge into practice in the working world or whether they want to study to an even higher level. These vocational qualifications help your students to specialise in a particular subject and use practical lessons and placements to aid their learning. These will help them to decide if they want to be an expert in that field - they can decide to do that through study or in the work place. Your students can go straight into the world of work, with training along the way within a university, college or training provider to support their development. They will usually apply directly to the employer offering the apprenticeship and higher apprenticeships can enable them to go on to study for a foundation or full degree. Access courses are for students aged 19 and over without the necessary qualifications for entry to higher education. They prepare people for university-level study so they can go on to do a degree course. If you have the enthusiasm for exploring your subject area but not all the skills needed to succeed as a student at degree level, you could consider a course with foundation year. This is an integrated four-year course that starts by introducing you to the foundation elements of study at university. They will spend this year learning the basis of their subject. They will meet new people who may bring different points of view and also lecturers/teaching staff who are specialists in their. HNCs mix academic, hands-on, practical, and vocational learning that will give your students the skills they need in the workplace. They can then choose to further in education with an HND or go into work. Your students can start to specialise and choose their own modules. Their progress will be measured through assessments, practicals, exams or presentations depending on the university and course they choose. This develops the skills which they learned in your HNC. There are still opportunities to work during a HND and put their skills into practice. They can then choose to ‘top up’ with a third year and study for a degree or go straight into work. In this year most students undertake their dissertation. This is an indepth research project on a topic of interest for them. Nearing the end of the year students will decide if they want to do even more studying or use their knowledge and skills in employment.